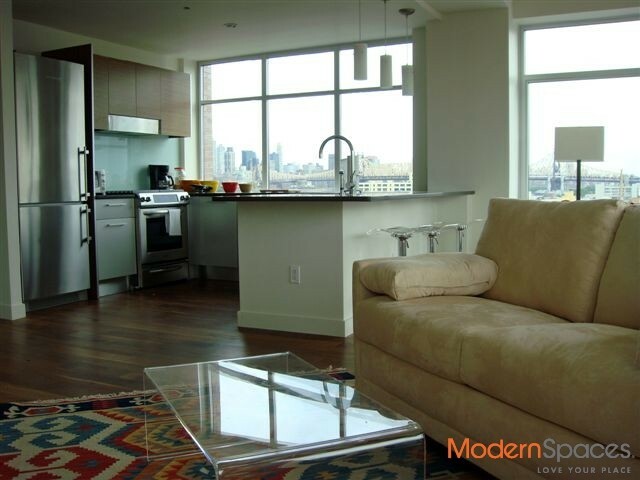 This gorgeous 3 bed/2 bath FURNISHED PENTHOUSE FEATURES IMPRESSIVE VIEWS FROM EVERY ANGLE. Thoughtfully designed and beautifully realized, with rich American walnut floors and stylish appointments, the residences at Ten63 were planned for the way we live today. Expansive windows invite an abundance of natural light into your home, along with sprawling views of the city, river and skyline. THE KITCHEN features like Italian-crafted Pedini cabinetry, stainless steel appliances by Bosch and Fisher & Paykel, Ceaserstone countertops and white glass backsplash create a kitchen whose functionality is only surpassed by beauty. THE BATH’s elegance is best definted by its exquisite appointments: Kohler fixtures, XILO and Lagos Azul tiles, Siberian marble vanity top, Zen soaking tub and glass shower surround in the Master. BUILDING AMENITIES ELEGANT FROM EVERY ANGLE. Relax and catch a sunset fro atop your private roof deck, work out in out fitness center or enjoy a movie with friends in the screening room. Ten63 features an array of amenities made to match every lifestyle. Additional conveniences, like available on-site garage, grocery service and individual storage, all the space and freedom to live life at your own pace. 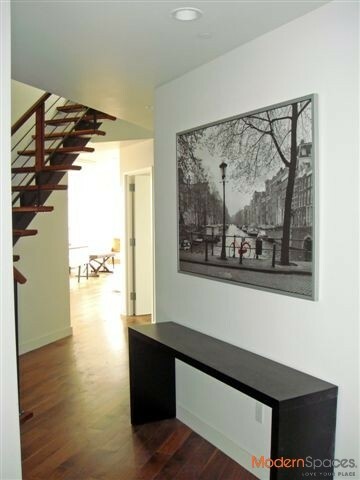 Call 415-225-0463 or email me at marybeth@modernspacesnyc.com to set up an appointment. 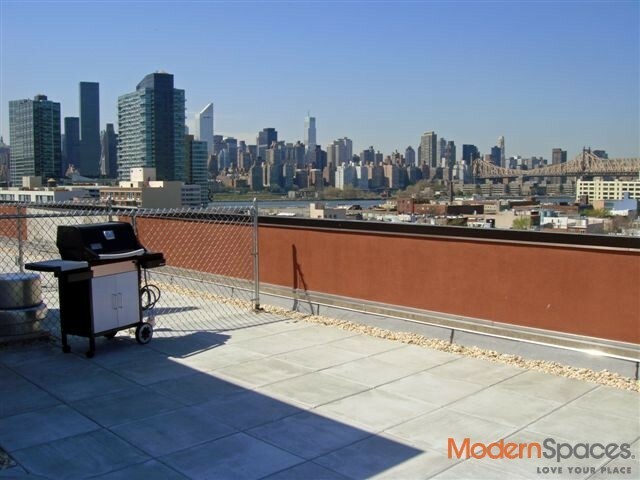 This gorgeous 3 bed/2 bath FURNISHED PENTHOUSE FEATURES IMPRESSIVE VIEWS FROM EVERY ANGLE. Thoughtfully designed and beautifully realized, with rich American walnut floors and stylish appointments, the residences at Ten63 were planned for the way we live today. Expansive windows invite an abundance of natural light into your home, along with sprawling views of the city, river and skyline. THE KITCHEN features like Italian-crafted Pedini cabinetry, stainless steel appliances by Bosch and Fisher &amp; Paykel, Ceaserstone countertops and white glass backsplash create a kitchen whose functionality is only surpassed by beauty. THE BATH's elegance is best definted by its exquisite appointments: Kohler fixtures, XILO and Lagos Azul tiles, Siberian marble vanity top, Zen soaking tub and glass shower surround in the Master. BUILDING AMENITIES ELEGANT FROM EVERY ANGLE. Relax and catch a sunset fro atop your private roof deck, work out in out fitness center or enjoy a movie with friends in the screening room. Ten63 features an array of amenities made to match every lifestyle. Additional conveniences, like available on-site garage, grocery service and individual storage, all the space and freedom to live life at your own pace. 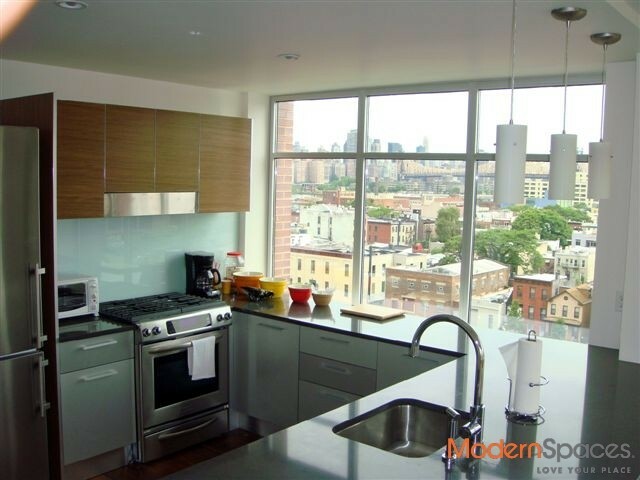 Call 415-225-0463 or email me at marybeth@modernspacesnyc.com to set up an appointment.